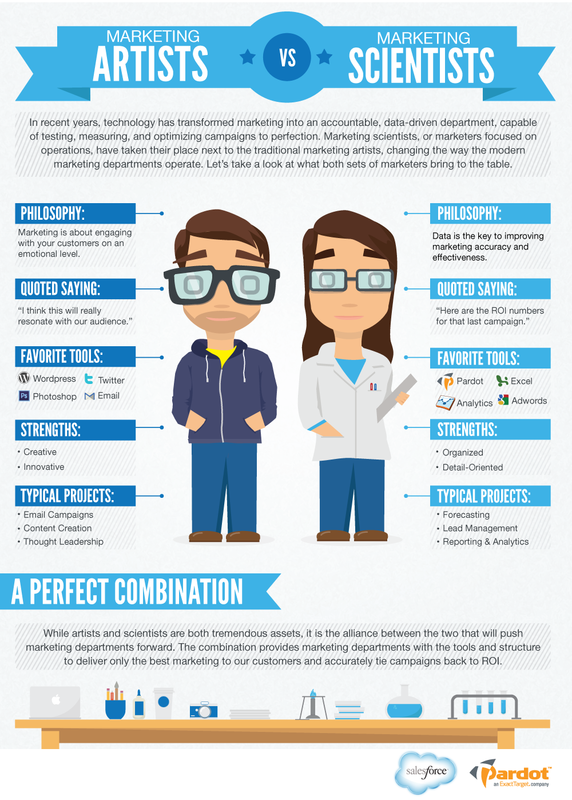 Modern marketing requires two different mindsets / personalities – The Artist and The Scientist. The Artist focuses on engagement, experience, and brand. The Scientist focuses on the data, ROI, and numbers.